Funding bank accounts and investment or brokerage accounts into your revocable living trust can be easy or complicated. It depends on the rules of the institutions that hold your accounts. Some financial institutions will simply change the name on your account from your individual name into that of you as trustee, usually with the notation "TTE" after your name. Others will require that you close the original account and open a new one in the name of the trust. Regardless of your institution's rules and how many hoops it wants you to jump through, it's important that you fund your bank accounts and other investments into your trust to properly plan for mental disability and to avoid probate. Your successor trustee -- the individual you name to step in and take over management of your trust for you should you become mentally incapacitated -- will not be able to access your accounts if they're not in the name of your trust. 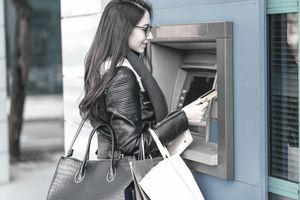 You can follow some general steps to fund bank accounts and investment accounts, including brokerage accounts, into your trust, but these may vary slightly by the institution. Draft a letter of instruction to your financial institution requesting that your account is retitled from your name into the name of your trust. Include your account number, the name of your trust, your Social Security number, your mailing address, your email address, and your phone number. Hand deliver your letter of instruction to your bank or financial adviser if possible. Take your trust agreement with you because someone will almost certainly ask to see a copy of it. If you can't hand deliver the letter, mail it to the bank branch where you opened your account or to your financial adviser. Include a copy of your affidavit of trust or memorandum of trust which should summarize your trust agreement, highlighting the information the institution will need to know. If you don't have one of these documents, you may be able to use just the first page and signature pages of your trust agreement so you can keep the balance of the trust agreement private. Fill out and return all documents required by your institution. These might include new signature cards, new account forms, trustee affidavits, and possibly other trust account forms. Follow up by phone or mail to ensure that the account or accounts have been retitled into your trust. You should also check your account statements to verify that your name as trustee has been properly listed on the statement in place of your individual name. Common abbreviations to look for include "John Doe, TTEE," "John Doe TR dtd 1/1/16," or "John Doe, TTE, John Doe Trust UAD 1/1/16." Place the documentation with your trust agreement to verify the funding of the bank or investment account into your trust. This may include an actual letter of verification from your bank or financial adviser or an account statement that shows the name of your trust. NOTE: State and local laws change frequently and the above information may not reflect the most recent changes. Please consult with an attorney for the most up-to-date advice. The information contained in this article is not legal advice and it is not a substitute for legal advice.